I don't tell people I get smarter as I get older, I just get less stupid as I get older. Ooh, Ooh, I really like this one. Lol. 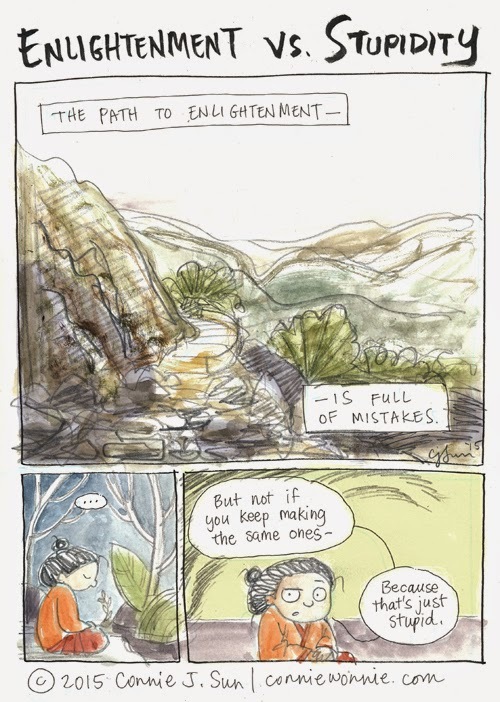 But, what if 'enlightenment' is actually the realization of the repetition, necessity and unavoidability of mistakes? Hahaha, I fall under the stupid category with my mistakes all the time.